Resident Evil firmly has its stride back. Resident Evil 2 is off to an excellent start, with 3 million copies shipped only a few days out from launch. Assuming that pace holds up, those sales that will put it near the top of the franchise. With Resident Evil 2 and Resident Evil 7 back-to-back, Capcom’s put its baby back on top. Resident Evil might’ve gotten into a slump with critics and the community, but looking at overall sales, there’s a lot of love for nearly every game in the franchise. Adding re-releases up, Resident Evil 5 still leads with 11 million, followed by Resident Evil 6 (8.8 million), Resident Evil 4 (7.3 million), Resident Evil (7.53 million), and Resident Evil 7 (6.1 million, no re-releases yet). 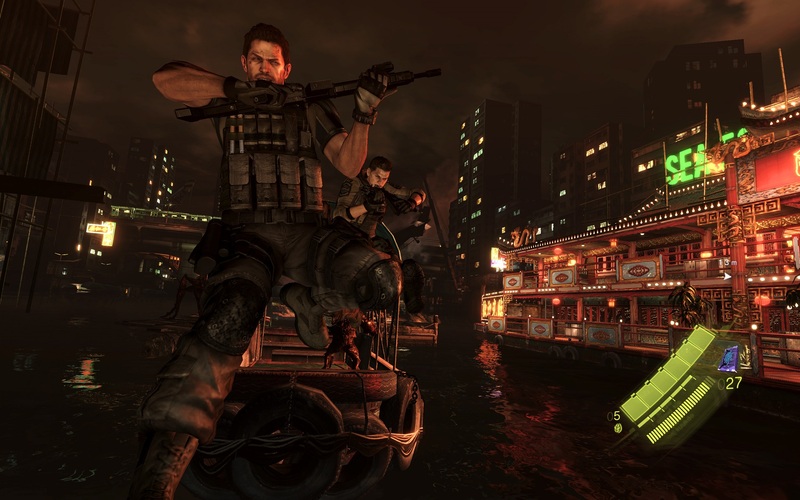 While sales for Resident Evil 6 are high, fans were mixed on the release. Even when it comes to tone, there’s a lot of variety; every Resident Evil is a b-movie, but they’re different types of b-movies. Resident Evil 1 and 2 are more ground b-movie horror affairs. 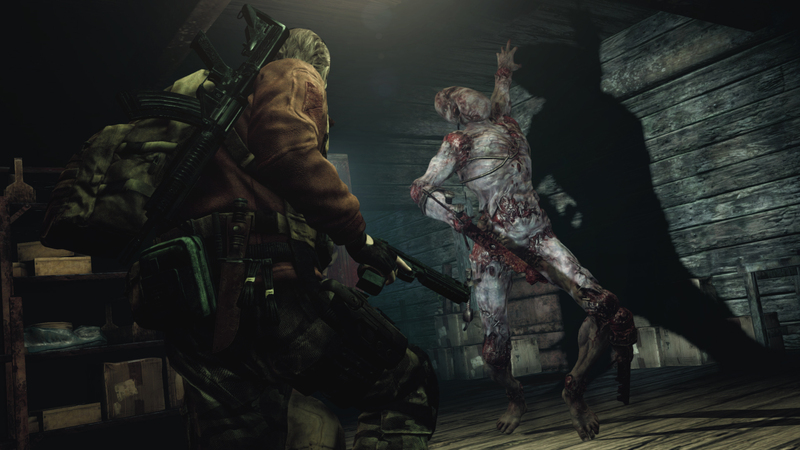 RE 4 and 5 are action movies with zombies, featuring the superhuman feats of Leon and Chris. Resident Evil 6 is a blockbuster action film, with a larger cast spread around the world and an almost-Devil May Cry insanity to it. Resident Evil 7 begins like a slasher flick with the entirely grounded Ethan Winters, before opening up into something more like the first few games. It’s hard to tell what the « right » style for Resident Evil is, what denotes the proper mix of gameplay and tone. « We want [Resident Evil 7] to be the start of a new kind of survival horror and of a new series, » said Takeuchi. « We’re already thinking of various plans for the next game, but we also want to see how we can continue to evolve survival-horror itself. In the next few years, technology will continue to advance and what players want may also change, but we will always want to create horror experiences where the characters overcome a difficult situation. The statement « very different » from Resident Evil 7 could mean anything. I’m going to guess that part of that difference might involve dropping the first-person camera of the first game, or at the very least not making it the primary camera mode. I thought it was fantastic, bringing the player closer to the action. Yes, there’s tension in seeing Mr. X coming at Leon or Claire in Resident Evil 2, but it didn’t hit me as hard as having Jack Baker coming right at you in Resident Evil 7. The flipside of this is I tend to see Resident Evil 7’s Ethan Winters as a null character; he does react to events and his motivations drive the plot, but I spent most of RE7 thinking of the character as me due to the first-person camera. Capcom noted that the first-person shift was purely for immersion purposes. « Rather than playing it safe and sticking with what we’re used to, we strived to create something new that would impact players in a different way with a more immersive, personal experience. When we decided on the direction of focusing on horror, we thought that having a first-person perspective would be the most effective way to fully immerse the player in the experience. 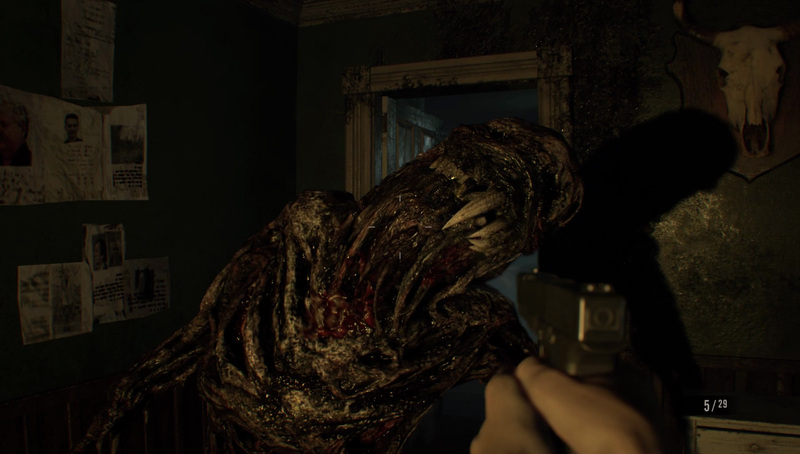 By making the player the main character, we believe they’ll be able to have a more personal connection to what’s going on and experience survival horror like never before, » Resident Evil 7 producer Masachika Kawata told Game Informer. I’d honestly hope Capcom aims for something akin to Resident Evil 3, which added a dodge mechanic to the series. Resident Evil Revelations 2 sits in the right region for me: there’s enough ammo and weapons for players to reasonably fight back, but if you screw up too much, you’re going to be without ammo for certain areas. And being able to unlock further skills for your characters was a great idea, giving you a sense of progression. The gems you used to purchase skills also added an additional layer of exploration to RER2. Revelations 2 is a more focused, subdued Resident Evil 4, which is about where Resident Evil 2 lands. So ultimately, the gameplay I’m looking for in a new Resident Evil is similar to RE2’s remake, with a few tweaks and additions. The core is there, it’s just about tuning now. Finally, it’s time to address the tone of Resident Evil. As I said before, the series has gone from goofy b-movie shlock to grounded horror over the course of the franchise’s history. It’s hard to sell the terror of RE’s situations when you have Leon Kennedy getting into superhuman knife fights, Chris Redfield punching giant boulders with his bare hands, or Jake Muller doing a sweet trick on a sport bike as he soars over a helicopter. (I love all of these moments.) Capcom has clearly realized it went a bit too hard with the blockbuster, pulling the series away from being survival horror. « We talked about this at E3 because a lot of press asked us directly—is there still a giant alligator in the game? 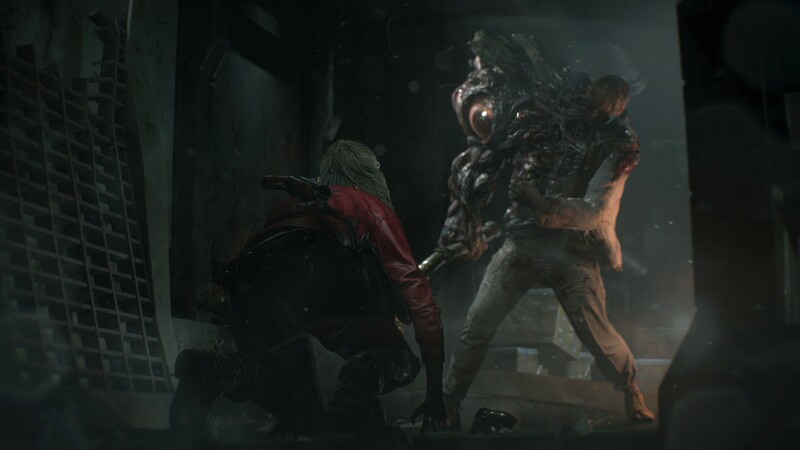 We spoke a few times to that–to how we wanted to keep the cool boss but also we needed to make it a bit more realistic in terms of how weighty a creature like that would be in real life—have it not just jumping around the room like a crazy thing, » Resident Evil 2 producer Tsuyoshi Kanda told VG247. Given that, I think the days of characters strong and skilled enough to fight it out with a Tyrant one-on-one is probably gone. T-Virus and Las Plagas superhumans might still have a place in the series moving forward, but I don’t think our heroes having those powers is the best idea. Instead, the best spot for them is the « Every Man+ ». Like Leon and Claire in Resident Evil or Ethan in Resident Evil 7, they should be relatively normal folks stepping into the these outlandish and horrifying situations. There is some tension in the weakness of being simply human in the face of something monstrous, with only your wits and the tools you’ve found being the way to survive. I had fun with the blockbuster shenanigans of Resident Evil 4, 5, and 6, but I don’t think that’s where the series lives. Capcom has a game series in Devil May Cry that can cater to that kind of vibe and style. Grounded action and horror, with the backdrop of these crazy corporate machinations; that’s Resident Evil to me. At the same time, I think Resident Evil should have room for the occasional giant alligator. « We know the fans will always have a desire for both kinds or an interesting mixture of the two, and that’s something that we considered for this and also consider for every Resident Evil game. There’s not a one-size fits all approach to making a Resident Evil game, given how large the fanbase is, » said Kanda in the VG247 interview. The potential Resident Evil I’ve outlined here is just what I feel is the right recipe to hit most of that audience. A third-person game, with slightly more action mechanics than Resident Evil 2, with a grounded horror tone. Its predecessor Resident Evil Revelations 2 establishes the right feel for what Resident Evil should be, with most of that game’s failures coming from budget considerations and its episodic nature. With the success of Resident Evil 7 and Resident Evil 2 back-to-back, I’m feeling that Capcom wouldn’t repeat the mistakes made there. We’re a step closer to the Ur-Resident Evil, the one that brings together everything in the series’ history to create the perfect experience. Hopefully, Resident Evil 8, or whatever the next game is, can hit the target spot-on.